Do Bad Credit Loans Have a Legitimate Purpose? Home › Credit › Do Bad Credit Loans Have a Legitimate Purpose? Bad credit loans have a bad reputation. Obviously, a big part of that is deserved. But I’m going to take the contrary opinion here, and say that bad credit loans have a legitimate purpose. Or at least they can, if they’re handled the right way. Heresy, you say? Maybe. But I’ve had a lot of personal experience with this type of lending. Part of it is due to my long history in the mortgage business, where I saw a lot of these loans, and even did a few myself. Part is also based on my son’s recent experience with a bad credit car loan. I don’t know if this topic is even on your radar screen, but I’m going to attempt to describe these loans in a way that might cause you to rethink your opinion of them. That’s not to say that I’m advocating using them liberally, but rather that there is a time and place for them. If used intelligently – and sparingly – they can be of some advantage. The most obvious issue here is high interest rates. For example, while you might be able to get a car loan for 2% or 3% with good credit, you might pay over 20% with a weak credit profile. That’s not the worst of it. In addition to the high interest rate, bad credit loan lenders like to extend loan terms. For example, while a new car loan might run for four or five years, bad credit car loans are often extended out to six or even seven years. The longer-term locks the borrower in for more time, resulting in the payment of much more interest. The evidence is also substantial that default rates are higher on these loans. That makes abundant sense, since the combination of high interest and extended terms eventually weakens the borrower until she reaches a point where she can no longer continue making the payments. Back in 2000 I was working for a large national mortgage lender as their subprime loan officer. It was my job to place borrowers in a loan if they were unable to get a standard “A” grade mortgage. It was an interesting assignment to say the least, and while I had moral reservations about it, it set up some better things for me later on. Even after I left that company – after just one year – I continued doing the occasional subprime mortgage for the remainder of my mortgage career. That experience taught me a lot. Not just about subprime mortgages, but also about the people who take them. I learned that there aren’t just subprime loans, but there are also subprime borrowers. We might even refer to them as subprime people. Does that sound harsh? Let me explain. When I started the job, I expected to work with borrowers who had impaired credit, the type who maybe had a run of bad luck, that resulted in a bout of bad credit, after a long history of good credit standing. I was thinking that there were people out there who had experienced job losses, business failures, medical catastrophes and other temporary setbacks. But I was as wrong about that assumption as I had ever been about anything. That type of borrower was the exception. What was far more common were people who had 10, 15 or even 20 pages of bad credit on their credit reports. That would include dozens of individual credit experiences, with most or all having delinquencies or worse. Typical in the credit mix were collections. Bills that had gone from late, to seriously late, and eventually to nonpayment status. It wasn’t unusual to see such a credit report with anywhere from a half a dozen to a dozen or more unpaid collection accounts. Some of those eventually morphed into court judgments. But it never mattered, because such people never pay their debts. That’s what I mean by subprime people. There are no small number of people like that. The irony is that they always come back to get more credit. And the reason that they do is because someone somewhere will give it to them. And most likely, they’ll stiff the next lender in the very same way that they did all the others before them. It’s all about getting something for nothing, even if it comes through the back door. I came to realize that this was a game being played between subprime borrowers and subprime lenders. It’s probably a happy marriage – in a perverted sort of way. Both the lenders and the borrowers deserve each other, making it a built-in market for bad credit lenders. That’s largely why I exited that subprime loan officer job after just one year. You can only be around that stuff for so long before it gets to you in unexpected ways. Let me stress something important from the outset. I’m not referring to short-term bad credit loans, such as payday loans, title loans, or pawn shop loans. Those are very short-term loans with astronomical interest rates, that don’t report on-time payments to the credit bureaus. They also have all kinds of provisions in the event that you don’t pay, stopping just short of seizing your firstborn child. You don’t need a loan like that, and taking it can’t help you without putting you in an even deeper hole. To build credit – if you have no credit at all, a bad credit loan could be your foot in the door. To rebuild credit – if you’ve had a run of bad credit, and need to rebuild, getting a bad credit loan may be the best way to do that – particularly if you can’t get credit anywhere else. Because there’s no other choice – if you’re in a situation where you absolutely need a car, and you don’t have the cash, a bad credit car loan may be the only alternative. Even under these circumstances, bad credit loans should be used sparingly and conservatively. If there are times when taking bad credit loans makes sense, what do you need to do to make them work? Lower your sights – never take a loan that you can’t repay; that goes for good credit loans too (I saw a fair number of people default on “A” loans in my long mortgage career). Borrow less than you “need” – life is full of compromises, and this is an excellent time to do just that. One bad credit loan is more than enough – you don’t need several. Make your payments on time every month – get a second job if you need it to make that happen. Apply for good credit loans – for very small balances – every few months; that will provide you with more opportunities to improve your credit score. Carefully read the fine print on the loan, being on the lookout for “gotcha provisions”, like prepayment penalties and balloon payments. Think of your bad credit loan experience as an entirely temporary one. Pay the loan off as soon as possible – a paid loan is one of the best credit references you can have. Here’s the thing – while there may be occasions in your life when you will need a bad credit loan, you should never turn bad credit loans into a lifestyle. I saw that happen with dozens, maybe hundreds of people during my subprime mortgage run. I can tell you that it never leads to a good place. 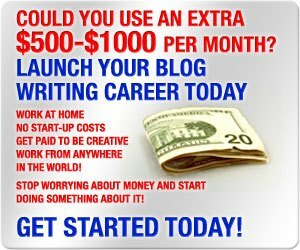 You should be just passing through with a bad credit loan, and on your way to better things. But that will only happen if you make it happen. If you do, then bad credit loans can serve a very useful purpose. If you can use them to build or rebuild your credit, or get through a rough patch, then they can bring you to a better place. But if you become too reliant on them, you’ll be stuck on the bad credit treadmill – the one few people ever get off of. When my son was 21 he and a certain deer had a date with destiny. He collided with it on a freeway turn ramp, and his car was totaled by the insurance company. Time to buy a new car. Problem: he had no credit history. His car was a “beater”, and owned free and clear, so no credit rating there. My wife had set him up with a credit builder loan through her credit union, but it was too new to have a major impact on his credit. But he needed a better car for work purposes. Buying another beater wouldn’t work. He had a 50 mile round-trip commute each day. Not only did he need a new car, but he needed one quickly. He settled on a new used car, that was four years old. In order to buy it, he needed a $10,000 loan. With no credit, he was forced to take a bad credit car loan. The interest rate was out in the stratosphere – nearly 23%. It was also set up as a 72 month loan, locking him in for a full six years. Times being what they were, he took the loan and bought the car. It wasn’t a comfortable situation, but for 18 months he made the payments on time. He also developed several other small credit lines along the way – which he was able to get, largely because of the car loan – and also paid those on time. Last week he went to our credit union and applied for a new car loan. He was approved for a $40,000 loan at 3.99%, with his choice on the loan term. I’m proud to say that my son is an excellent example of someone who used a bad credit loan to his advantage. He took it on a temporary basis, made sure that it was small enough that he could afford the monthly payment, faithfully made the payments on time, and otherwise built up his credit. As a result, he’ll be able to either refinance the loan 4 ½ years early, or to buy a different car entirely. Based on my mortgage experience, I suspect that’s not the way bad credit loans end for most people. But it’s an example of what can be done if bad credit loans are used intelligently. Are Bad Credit Loans Helping or Hurting Credit-impaired Consumers? This is an ongoing debate. On the one hand, bad credit loans are usually the only type of financing that people with bad credit can get. If they can’t get these loans, then they’re cut off from credit completely. And you can’t take people with bad credit and put them in good credit loans. There’s a very high likelihood that they’ll default on those loans as well, and drive up the cost of borrowing for everyone else. But on the other hand, there’s the argument that bad credit loans keep people with impaired credit situations in that ditch forever. Given the high interest rates and eternal loan terms that they impose, that’s not an entirely invalid argument. But based on my son’s experience, and that of a very few other people, bad credit loans can be a useful tool if used the right way. That will never happen with subprime people, because they have little motivation in that direction. But if you’re disciplined to pay your obligations on time, and you just need some extra help in a compromised situation, bad credit loans can get the job done. Philosophically, I’m opposed to bad credit loans. But if you live long enough, you’ll reverse course on a lot of things that you never thought you would. That’s been my experience. 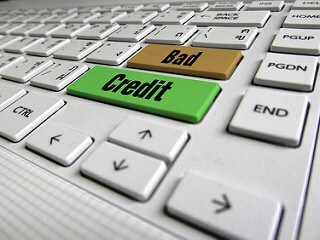 Have you ever taken a bad credit loan? If you have, how did it work out? Do you agree that they can be valuable in the right hands? 10 Responses to Do Bad Credit Loans Have a Legitimate Purpose? Hi Kevin. Like you, I am opposed to those types of loans. I believe your son’s case was the exception, like you said. And when you can find that one exception, yes they can work. But for the most part, these loans drag people down into yet more debt that spirals downward out of control. And I don’t think you’re harsh at all with subprime people. You are just stating the truth. There are more people like that out there than I would like to believe, and I know a few of them myself. They never seem to learn or they never learn to discern their wants from needs. Their motto is, hey, I’m working, I deserve it. You should be proud of your son who used what was available to him to his advantage and then was able to move on to better things. I imagine you have seen a lot in the mortgage business relative to this discussion. But people just don’t want to wait…to save for a few years for a 20% down payment, to pay off some former bills, to build up to a better credit score. It’s the instant gratification syndrome. If these loans were not available, people would be forced to do the right thing. Hi Bev – You’re so right, the philosophical/emotional side of this question is probably more important than the financial ones. The “I want it now” mentality is at the heart of it. If I want it now, but I’m not financially prepared to afford it, it’s almost certain that I’m going to make a decision that I’ll regret later. I think that’s the influence of TV. If you ever notice, everyone on TV has everything, and we hardly see how they come into to it. And even when they go through hard times, they’re solved by the end of the program or movie, making everything look unrealistically easy. But TV fantasy aside, I think that the whole concept of delayed gratification is gone. Now with everything becoming instantaneous, people think that all of life should work that way. And with the government inducing everyone to borrow (look at the student loan mess) they even think they’re doing the right thing. I’ve also noticed that people have an idea as to what life is “supposed” to look like – the house in the suburbs, the late model car, the vacations to the islands – that they focus more on getting those things than they do in building a career or a decent bank balance. And of course, there are plenty of subprime lenders around to make those hollow dreams a reality. I’m with you Bev, better to save to buy or get a better deal, or learn to do without. But I think hard times have taught me a few things that I wouldn’t have gotten otherwise. But then, people go through hard times all the time and learn nothing from it. Hard times do teach you a lot, and I’ve been there, too. But at least we learned something from it. And your point about what life is “supposed” to look like is accurate. People think that they should have all of these things, whatever those things are, without realizing how long it took someone else to acquire them. I think many young people feel entitled to the same lifestyle their parents enjoy at only 23 yrs old. Their first house has to have granite countertops and all the hardwoods, yadda yadda because that is what they’re used to. But mom and dad graduated from the school of hard knocks and young adults need to understand that. I remember when Robert Bork was nominated to the Supreme Court. During the hearings he said “There’s nothing morally wrong with America that a good depression wouldn’t cure”. That was bang on the dot. A generation raised during good times has a judgment gap. They don’t know how to deal with bad times. Even if their parents went through hard times, like during the Dot.com bust and the Financial Meltdown, they often managed to keep things normal by borrowing. Student loan debt is an excellent example. A kid grows up in a middle class household and goes for a six-figure college education. The family can’t remotely afford it, but she goes anyway – enabled by student loans. Similar debt traps are all around in our economy, like the zero down payment mortgage and subprime car loans. Whatever the problem, credit is the answer. It’s become like an opiate. It’s easy to see how people get caught on that treadmill, even to the point where it dominates their lives. Anyone who can resist that trend is heading in the right direction. I mean, bad credit loans are very important. People with bad credit still need daily necessities and sometimes things like car loans to get to work. So I get it, but most people have no business taking out loans. Bad credit loans are infamous for preying on the poorest of the poor. Unless you are POSITIVE that you can pay back the loan, then go for it, but I would recommend avoiding the debt in the first place. I couldn’t have said it better! The people who get into deep trouble on these loans are the people who constantly need to borrow, but lack the ability to manage the debt. The only time you should take a bad credit loan is when you need it for a single, very necessary purpose, and you absolutely, positively know that you have the ability to repay the loan in a timely fashion. Otherwise you should do without whatever it is that you want the loan for. People used to live by “cash on the barrel” but that seems to have become a quaint and forgotten notion. It sorely needs to come back. It was a great nonjudgmental post on the topic. It certainly made me feel like Judgy McJudge for some of my past attitudes, good read. But, being judgy me I gotta say the story of your son climbing out of near car poverty to great credit was soured by the fact that nobody ever ought to borrow $40,000 for a depreciating like crazy, new car. If he isn’t a millionaire and able to write a check for $40k what is he doing borrowing a ton of money for something that wasn’t worth $35k the day he drove it off the lot? Whew, I feel better now. Look I’m early retired and FI and I still buy used cars with cash. It just gets to me when people live a life of car payments and instead of generating wealth they just have pretty cars and have to work until they are 70. Rest assured that my son will not be purchasing a car for $40,000, or anything close to it. The plan is either to refinance the current loan, or to purchase another late-model used car for something around $15,000. Fortunately, he’s on board with this. It helped when the credit union told him that the monthly payment on a $40,000 loan would be close to $700 per month. Since he’ll be looking to get an apartment soon, that can never work. Great topic. I fully agree, Sub Prime lending has value, but most folks in that category will remain subprime borrowers. Most of them have the victim mentality. Very few use it as a stepping stone to repair poor credit from a past misfortune. What is interesting that the term “sub prime” did not become popular until the FEDS (Greenspan) began printing money out of thin air. These excess dollars helped fund a new financial sector, “Sub-Prime”. First the housing bubble. Now we have the student loans (no collateral required) and subprime auto loans each totaling more than 1 trillion dollars. Also each is gaining in default rates never imagined. Sub Prime auto loan default rates are increasing, which will decrease used car values. This in turn will destroy the major rental car companies. They are largely indebted and the business model is based on used car resale values. Likewise, college tuition costs have soared. Graduates are unable find jobs and, are saddled with huge education loans. Many lessons to be learned. I agree across the board Judge. I don’t even want to get started on the money printing by the FED, since that’s the root of so many distortions in our economy, including the understated inflation rate that’s gradually chipping away at the standard of living, but just below the radar line. We didn’t have subprime until the early 90s. But in the meantime, it’s there to be used for all it’s worth. So long as you don’t get victimized by them. And I agree that a lot of people just sit in them and get taken advantage of – until they default. Then it’s hard to know who got the upper hand on who.